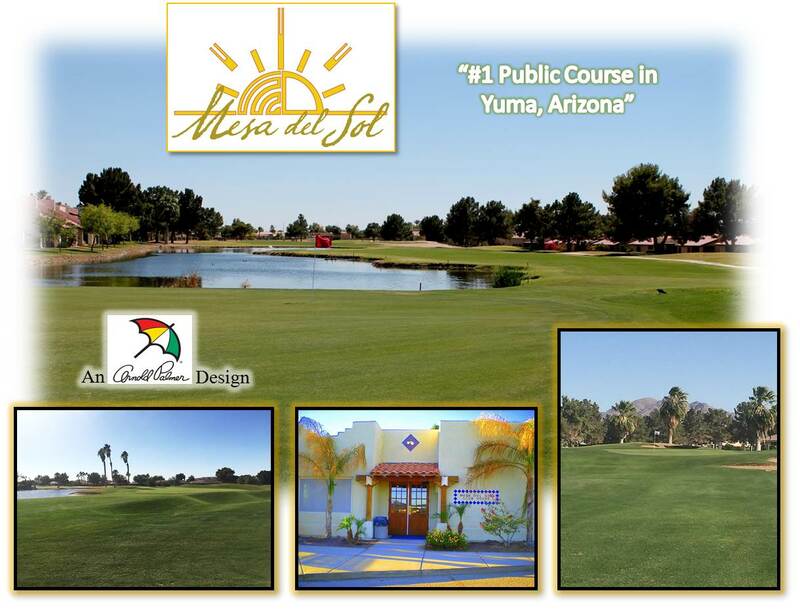 Mesa Del Sol Golf Club is a 6,777 yard, Arnold Palmer designed championship golf course in Yuma, Arizona. It opened in 1985 and is built on a relatively flat 134-acre parcel within the Mesa Del Sol residential community. Home values range from $145,000 - $1M. Located only three minutes from Yuma International Airport, the club is easily accessible from Interstate 8. Property Description The functional, 2,916 square foot clubhouse was built in 1995 and features a snack bar, fully stocked pro shop, office space and restrooms. The full length driving range and three practice greens were completely renovated in 2016 and are unmatched in the area. A clean, 13,000 square foot maintenance building houses all equipment. Financial Highlights Due to more than $400,000 in renovations, revenue at Mesa Del Sol has increased 60% to more than $1,600,000 over the last three seasons. With a strong net income and continued, explosive growth potential, the asking price for Mesa Del Sol is $2,499,000.